"A first-class barrister who is highly responsive and authoritative, and who has an unsurpassed knowledge of the law… She offers wise and measured counsel, drafts beautifully and is great on her feet"
Maya Lester QC is recommended as a leading silk by the legal directories in six practice areas: Administrative & Public Law, Competition & European Law, Civil Liberties & Human Rights, Public International Law and Sanctions. She is ranked in the 'Chambers 100 UK Bar' list of the top 100 barristers, and in Who’s Who as one of the world's leading competition and trade and customs lawyers and as a 'Thought Leader' for Brexit 2018. Her most recent cases include Wightman (the ECJ case on the revocability of Brexit), acting for JP Morgan in the LIBOR investigation, and for the MOL Group in its European Arrest Warrant EU litigation & international arbitrations. She is a member of the Bars of England & Ireland. Maya has a particular expertise in the law relating to economic sanctions. As the directories put it, she is “Queen of the Sanctions Bar without a doubt” and "owns the world of sanctions". She founded and co-writes europeansanctions.com, the leading resource on sanctions & export control, with nearly 7000 followers worldwide. She represents and advises hundreds of companies and individuals before the European and English courts (including on the new UK Sanctions Act, the EU Blocking Regulation, sanctions clauses and investigations) and has acted in most of the leading cases, including Kadi, VTB, Tay Za, Central Bank of Iran, NITC and IRISL. In 2018 Maya was named Practitioner of the Year in the World Export Controls Review Awards. Maya’s leading cases include Kadi(II) v Council & Commission (the leading case on the relationship between UN Security Council resolution s & EU law), R (Bancoult) v Secretary of State (the Chagos Islands judicial reviews in the UK and ECHR), Enron v EWS (the first very follow-on competition damages trial in the UK, and several subsequent follow-on damages actions including National Grid), R v Goldshield (prosecuting cartels as conspiracy to defraud), Walker v Innospec (equality in civil partners’ pensions) the Shambo judicial review (on bovine TB), and the Rahmatullah litigation. She has appeared in numerous judicial reviews of regulatory decisions (eg Cityhook, UniChem), competition appeals (including on LIBOR, Pay TV, horseracing, dairy, and construction recruitment), ICSID & UNCITRAL arbitrations and appears several times a year in the European Court of Justice. Maya was a founder of the Human Rights Lawyers Association and undertakes regular pro bono and public interest work. There is a strong US and international element to her practice; she spent three years as a Visiting Scholar & Master of Studies in Law at Yale and Columbia Law Schools. She is a regular speaker for the American Society for International Law, Chatham House, Justice, Public Law Project, Hart, ALBA, the ABA Antitrust Spring Meeting, BIICL, International Bar Association, Bar European Group and World ECR. In her public and administrative law practice, Maya Lester QC appears for and advises individuals, companies, government departments, regulators and public interest groups, and regularly appears in judicial reviews. She has given evidence on legislative reform to a number of Parliamentary committees, is a frequent speaker at the main public law conferences (ALBA, Hart, Justice, Public Law Project). Maya has advised on and acted in cases involving numerous public bodies and regulators including the OFT / CMA, Ofwat, Ofcom, the Law Society, National Farmers Union, Renewable Energy Assurance Limited, British Medical Association, British Dental Association, Advertising Standards Authority, Press Distribution Forum. She regularly advises on the implications of Brexit (including in relation to the EU Withdrawal Act & Sanctions Act). Her leading public law cases include: Rahmatullah (human rights damages for alleged abuse in Afghanistan & Iraq); Bancoult (the Chagos Islands litigation, in the UK courts & ECHR); Walker v Innospec (equal treatment in civil partners’ pensions); International Sikh Youth Federation (proscribed terrorist organisations); the leading case on freedom of political expression R (Prolife Alliance) v BBC; the Shambo case (R (Community for the Many Names of God) v Welsh Assembly Government (CA)); Works v Gray (discrimination in the Matrimonial Causes Act); R (Bingham) v Governor of the Falkland Islands; London Metropolitan University v UK Border Agency; Duncombe v Secretary of State for Education; R (Crystal Windows & Doors) v OFT & Real Energy Assurance; R (Law Society) v Legal Services Commission (procurement of family legal aid); R (Hernadi) v National Crime Agency (European Arrest Warrants); R (British Medical Association) v Secretary of State for Health (GPs' pensions); R (Wildman) v Ofcom (broadcast licences); R (Buxton) v Advertising Standards Authority) (ASA adjudication); R (Ealing) v Audit Commission (CSCI reports); and R (Adusei) v Council of the Inns of Court (decision of the Visitors). Maya has appeared in a number of cases concerning the regulation of gambling and sports, including R (British Casino Association) v Secretary of State (casino licences) and R (Poker Clubs Association) v Secretary of State. And in judicial reviews of UK government decisions on sanctions: R (Azizi v Sedghi) v Secretary of State for FCO; R (Sarkandi & Ors) v FCO (involving closed material procedures under the Justice & Security Act), and competition judicial reviews: John Lewis v OFT (extended warranties); Association of Convenience Stores v OFT (press distribution); (R (UniChem) v OFT; R (Celesio) v OFT); R (Cityhook) v OFT; R (Sports Direct) v Competition Commission. 2018-19: "She has an outstanding intellect and drafting skills that are unique and exceptional." Maya Lester QC has extensive experience in all areas of European Union law, including in relation to sanctions, competition law, EU fundamental rights, actions for annulment in the General Court, and preliminary references to the Court of Justice. Maya appears in Luxembourg several times a year, is a member of the Irish as well as English Bar, and is on the Bar Council EU Law Committee. She recently appeared in Wightman, the ECJ reference about the revocability of Article 50 TFEU (the Brexit trigger), and argued the EU legal points in the Bancoult Chagos Islands litigation (Court of Appeal). Maya’s references to the Court of Justice include Wightman (revocability of Brexit Article 50); AY (double jeopardy & European Arrest Warrants); R (Milk Marque) v MMC (Common Agricultural Policy and competition law); R (Swedish Match) v Secretary of State for Health (ban on oral tobacco); Den Dover v European Parliament (MEPs’ expenses). Maya appeared for the European Commission on the listing of the World Cup and FIFA Championship under the Television Without Frontiers Directive (UEFA v Commission and FIFA v Commission); for the British Horseracing Board in the leading case on the collective sale of sports rights in the Competition Appeal Tribunal (Racecourse Association and British Horseracing Board v OFT) and for the Premier League in the Sky Sports challenge (BSkyB and Premier League v Ofcom). Maya’s General Court annulment actions include: JP Morgan v Commission (LIBOR); Korea National Insurance Company & Ors (DPRK); DenizBank, Sberbank, VTB, Rotenberg (Russia); Kadi (No. 2) (terrorist asset freeze); Tay Za (Burma/Myanmar); IRISL, Ocean Administration, Elegant Target, Good Luck Shipping, Nabipour, Azizi & Sedghi, Ministry for Energy, National Iranian Tanker Company, Central Bank of Iran, Iran Aluminium Company (Iran); El Materi (Tunisia); Al Tabbaa & Al Asaad (Syria); El Maghraby & Gazaerly (Egypt); Rautenbach & Tomana (Zimbabwe). Maya’s EU procurement cases include: R (Law Society) v Legal Services Commission); Apcoa v Westminster City Council; Vale of Glamorgan; Stage Technologies v Royal Shakespeare Company. Maya’s public international cases include Kadi (the leading case on the relationship between international and EU law and on JR of UN Security Council resolutions), AY (European arrest warrants & double jeopardy), the Chagos Islands litigation (on the international law principles of self-determination, the right of abode & treaty obligations to overseas territories), and Rahmatullah v Ministry of Defence & FCO (claims of torture & mistreatment in Iraq & Afghanistan), and major Cayman Islands litigation involving Libyan & Cayman law (Palladyne). She has experience in business crime, including criminal sanctions & export control, European Arrest Warrants (including the AY / MOL ligitation and arbitrations) and INTERPOL red notices. Before she took silk in 2016, Maya was one of only 5 members of the Attorney General’s PIL A panel, the most senior panel for the Government’s PIL work. She taught international law seminars at Columbia Law School, was on the prestigious Programming Committee of the American Society for International Law, and a Henry Fellow giving seminars to the US State Department. Maya Lester QC has a particular expertise in the law relating to economic sanctions, both litigation and advisory. As the directories put it, she is “Queen of the Sanctions Bar without a doubt” and "owns the world of sanctions". She founded and co-writes europeansanctions.com, the leading sanctions & export control resource, with nearly 7000 followers worldwide. She represents and advises hundreds of companies and individuals before the European and English courts and has acted in most of the leading cases, including Kadi, VTB, Tay Za, Central Bank of Iran, NITC and IRISL. In 2018 Maya was named Practitioner of the Year in the World Export Controls Review Awards, and is a very regular speaker at sanctions conferences. Maya advises on all aspects of sanctions law & export control and across all regimes, including the Iran nuclear deal and EU Blocking Regulation, trade, sectoral and targeted sanctions, sanctions clauses, de-listings, investigations, litigation and judicial review, the implications of US secondary sanctions, approaches to regulators (reporting obligations and licensing), the Sanctions Act 2018 and Magnitsky sanctions. She has given evidence to a number of parliamentary committees, including the House of Lords EU Justice Sub-Committee on the legality of EU sanctions here, the House of Lords EU External Affairs Sub-Committee on post-Brexit sanctions policy (here and transcript here) and the Canadian Parliament's Standing Committee on Foreign Affairs' review of Canda's sanctions regime here. Maya’s cases in the EU and UK courts include: Lamesa v Cynergy Bank (sanctions clauses); Korea National Insurance Company & Ors(DPRK); DenizBank, Sberbank, VTB, Rotenberg (Russia); Kadi (No. 2) (terrorist asset freeze); Tay Za (Burma/Myanmar); IRISL, Ocean Administration, Elegant Target, Good Luck Shipping, Nabipour, Azizi & Sedghi, Ministry for Energy, National Iranian Tanker Company, Central Bank of Iran, Iran Aluminium Company (Iran); El Materi (Tunisia); Al Tabbaa & Al Asaad (Syria); El Maghraby & Gazaerly (Egypt); Rautenbach & Tomana (Zimbabwe). Judicial review of UK decisions include: R (Azizi v Sedghi) v FCO Affairs and R (Sarkandi) v FCO. Interview on Monocle Radio on Syria sanctions here (28.10.2016). Panama Papers Sanctions interview: BBC Radio 4 - The World at One (5.4.2016). BBC Radio 4: Russian Sanctions (‘The Report’, 9.4.2015). Australian radio broadcast on Hamas de-listing here (19.12.2014). Profile in Christian Science Monitor here (8.5.2014). Profile in Foreign Policy here (2.5.2014). New York public radio on sanctions against Russia here (6.5.2014). Webinar: A webinar on sanctions (27.9.2013). YouTube recording of a presentation she gave on sanctions cases in the European Court here (Hague Centre for Law and Arbitration, 19.7.2013). 2019: Maya Lester QC is a well-established figure in the field with respondents highlighting her impressive ability on sanctions-related matters. Maya Lester QC was a founding member of the Human Rights Lawyers Association and undertakes regular human rights work, including pro bono / public interest litigation. Her leading cases in this area include: Rahmatullah (human rights damages for alleged abuse in Afghanistan & Iraq); Bancoult (the Chagos Islands litigation, in the UK courts & ECHR); Walker v Innospec (equal treatment in civil partners’ pensions); Works v Gray (discrimination in the Matrimonial Causes Act); International Sikh Youth Federation (proscribed terrorist organisations); the leading case on freedom of political expression R (Prolife Alliance) v BBC; the Shambo case (R (Community for the Many Names of God) v Welsh Assembly Government (CA)). Her European Court of Human Rights cases include Georgia v Russian Federation; Yukos v Russian Federation; Mattilla v Finland; Bancoult v United Kingdom and Chagos Islanders v United Kingdom. 2018-19: "Gives measured and considered advice and comes across as the voice of reason in court." Maya Lester has extensive experience in all areas of UK and EU competition litigation and advisory work. Her practice includes competition investigations, appeals, and judicial reviews, follow-on damages actions, mergers, abuse of dominance, cartels, ECJ actions for annulment and preliminary references. Maya currently advises a regulator on the competition law implications of Brexit. Who’s Who Legal listed her as one of the world’s leading competition lawyers in 2018. She is a regular speaker at competition events including the ABA Antitrust Spring meeting & MLex conference, and was on the organising committee of the Fordham Competition Law Institute Annual Conference on International Antitrust Law and Policy. Maya appeared in the first ever follow-on damages trial in the UK, Enron v EWS, and in several since including Emerald v BA (Air Cargo) and National Grid v Alstom & Ors. She appeared in the standalone actions Foundem and Streetmap v Google (abuse of dominance), British Horseracing Board v AtTheRaces (abuse of dominance and excessive pricing), and in the leading case on prosecution of cartels for conspiracy to defraud R v Goldshield (heard in the House of Lords with Norris v USA) and currently Kodak v Glencore & Ors. Maya has appeared in major competition appeals in the High Court, Court of Appeal and CAT and EU courts, including: Alstom (French Blocking Statute), (BSkyB and Premier League v Ofcom (Pay TV)); LIBOR (JP Morgan v Commission in the EU General Court); telecoms (Carphone Warehouse v Ofcom (Carrier Pre-selection); BT v Ofcom (080 termination charges); Tesco v OFT (dairy cartel); (Racecourse Association v OFT (collective selling); Hays v OFT (construction recruitment forum penalty appeals). Maya has appeared in numerous competition judicial reviews in the High Court and Court of Appeal, including Ryanair v Competition Commission; John Lewis v OFT (extended warranties); Association of Convenience Stores v OFT (press distribution); R (UniChem) v OFT; R (Celesio) v OFT; R (Cityhook) v OFT; R (Sports Direct) v Competition Commission. 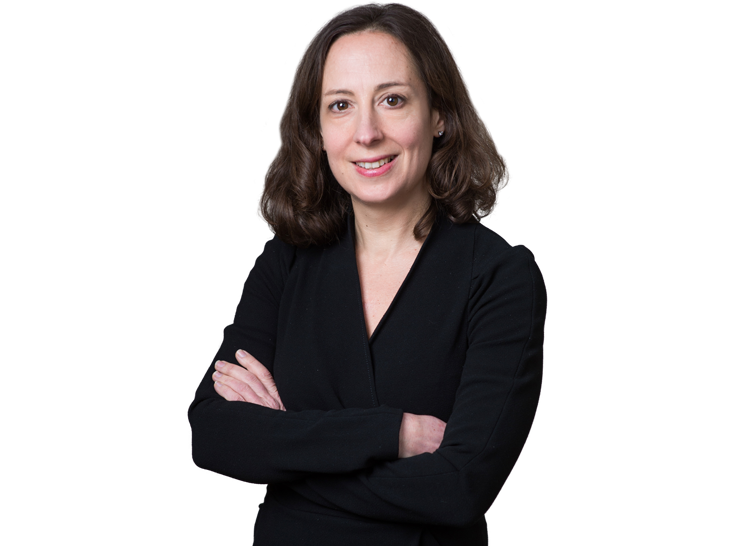 Maya Lester QC is a regular adviser to the National Farmers Union and other individuals & entities on agricultural matters, in particular those with a public, EU, PIL or competition angle. She has appeared in a large number of cases involving animal health, environmental law and agriculture including: judicial review of the decision to slaughter Shambo the temple bullock (R (Community for the Many Names of God) v Welsh Assembly Government (CA); the European Emissions Trading Scheme (R (Cemex v Secretary of State for the Environment); the Renewable Energy Assurance Scheme (Crystal v REAL) and Rural Payments Agency; foot and mouth disease (R (Kindersley) v Ministry of Agriculture Fisheries and Food and Pride & Ors v Institute of Animal Health, Merial Ltd & Secretary of State for the Environment, Food and Rural Affairs (escape of foot & mouth disease). She has advised regularly on cases involving bovine TB, foot & mouth disease, and badger culling, and on the implications of Brexit for the agricultural sector. Maya Lester QC regularly advises on and appears in cases relating to terrorism and national security, in the UK and EU courts and tribunals. Her leading cases in this field include: Rahmatullah (alleged mistreatment in Afghanistan & Iraq), Kadi 2 (terrorist asset freezing, EU measures implementing UNSC resolutions), International Sikh Youth Federation (terrorism prescribed organisations). Much of her practice involves business crime, including criminal sanctions & export control, European Arrest Warrants (including the AY / MOL ligitation and arbitrations) and INTERPOL red notices. Blog: www.europeansanctions.com (nearly 7000 followers, the leading sanctions & export control resource worldwide). Book chapters: EU Competition Law: Procedures and Remedies (Gray, Lester, Darbon, Facenna, Holmes, Oxford University Press) Co-author; Human Rights Practice (eds Simor & Emmerson, Sweet & Maxwell) Editorial Assistant and Updater on Article 10 of the ECHR); Law of the European Union (eds Vaughan and Robertson, Oxford University Press) Contributing Author; Competition Litigation (UK Practice and Procedure) (OUP), Contributing Author. Articles include: 'Court of Justice says UK's Article 50 notice of intention to leave EU can be unilaterally revoked (Wightman and Others v Secretary of State for Exiting the European Union)' [December 2018] LexisNexis 'General Court rejects challenge to EU decision opening Brexit negotiations as inadmissible (Shindler v Council of the European Union)' [November 2018] LexisNexis; 'The Kadi Case' [Summer 2018] European Advocate; 'Economic sanctions have been a foreign policy tool of choice for some time' [Counsel, February 2017]; ‘Brussels lists, Luxembourg de-lists? Sanctions de-designation cases in the European Court' [May 2013] World Expert Control Review; ‘Targeted sanctions and sanctions targeted: Iranian banks in the European Court' [May 2013] Butterworths Journal of International Banking and Financial Law; 'Judicial review of sanctions decisions: "The wrong point in the wrong court with the wrong defendant"?' Judicial Review 206; ‘Prosecuting Cartels for Conspiracy to Defraud'  Competition Law Journal; ‘Judicial Review in the UK of Competition and State Aid Decisions'  European Common Market Law (co-author); ‘UniChem v OFT'  Competition Law Journal; ‘Puzzling over Abuse of Right'  European Current Law; ‘Human Rights - The International Dimension'  The Lawyer; ‘The Chapter I Prohibition'  Competition Law Review; ‘The Bar European Group in Budapest'  European Advocate. Click here to see Maya appearing in the Supreme Court defending the assassins of Julius Caesar in a charity trial. U.K: James Allen's Girls' School; Clare College, Cambridge University (BA in History, First Class in Pts I & II); Diploma in Law at City University (Distinction, 1st place); Bar Vocational Course (Inns of Court School of Law); called to Bar at Lincoln's Inn (2000); Pupillage at Brick Court Chambers; QC (Lincoln’s Inn) 2016. U.S.A: Master of Studies in Law and Visiting Scholar (Yale Law School, Paul Mellon Fellowship); Visiting Scholar (Columbia Law School); Researcher at the Open Society Institute (New York); Summer Associate at Williams & Connolly (Washington DC); Judicial Extern to Judge Thelton Henderson (Federal District Court, San Francisco); Visiting Scholar at Columbia Law School (New York); Seminars at Yale, Columbia and NYU on targeted sanctions (2011-2012); Henry Fellowship at the US State Department, 2012. European and International experience: Stagiaire at the European Court of Justice (Advocate General Francis Jacobs); International Law Intern at the Supreme Court of Israel; Part-time Tutor in European Law, City University (London). Training for judges, lawyers and prosecutors on human rights and European law for the Slynn Foundation, Interrights, the Council of Europe and the Turkish Chief of Staff (including in the Czech Republic, Hungary, Kosovo, Serbia, Poland and Turkey); Speaker at the Anglo-Finnish Competition Law Trust (in Finland and Estonia), the University of Amsterdam, the Italian Antitrust Association, the European University Institute. Awards: Clare College Foundation Scholarship; Clare College History Award; Paul Mellon Fellowship to Yale Law School; Lincoln's Inn Hardwicke Entrance Award; Lincoln's Inn Mansfield Scholarship; Winner of 2000 Lincolns Inn Robert Wright Mooting Competition; Worshipful Company of Arbitrators Prize; Pegasus Scholarship from the Inns of Court; Bingham Centre Fellowship; Henry Fellowship at US State Department. Appointments: Bar Council European Law Committee; Advisory Board Peace Brigades International UK, editorial board World Export Control Review. Maya Lester QC is recommended as a leading silk by the legal directories in six practice areas: Administrative & Public Law, Competition & European Law, Civil Liberties & Human Rights, Public International Law and Sanctions. She is ranked in the 'Chambers 100 UK Bar', a list of the top 100 barristers, and Who’s Who rank her among the world's leading competition and trade and customs lawyers and as a 'Thought Leader' for Brexit 2018. 2018: Listed as one of the world's leading trade and customs lawyers. 2018: Listed as one of the world's leading competition lawyers. 2018: Listed as a 'thought leader' for Brexit. 2017: Listed as a leading practitioner for Trade and Customs. 2016: “The newest silk at the set, Maya Lester QC, is extensively experienced in competition investigations and appeals. Before taking silk, instructing solicitors regarded her 'as a standout senior junior', regularly praising her 'attention to detail and assiduous nature'”. Maya Lester was chosen as one of the ten Future Stars of the Bar 2008 (The Times, 20 November 2008): "It takes something to get noticed when you are surrounded by colleagues such as Sumption, Green, Howard and Popplewell. But Maya Lester, 34, has earned a reputation at Brick Court, one of the leading commercial chambers, for her quick mind and measured advocacy... she has been involved in three cases before the House of Lords this year... Along with her human rights work she has a busy caseload of competition and European matters".